So I know I've been incredibly quiet on here recently, and I am sorry, but I've been crazy busy with work and assignments which has kept me away. Now I'm all handed in for the year and finished for work I am ready to feel festive and I thought I'd start by sharing some of my favourite festive things to do. 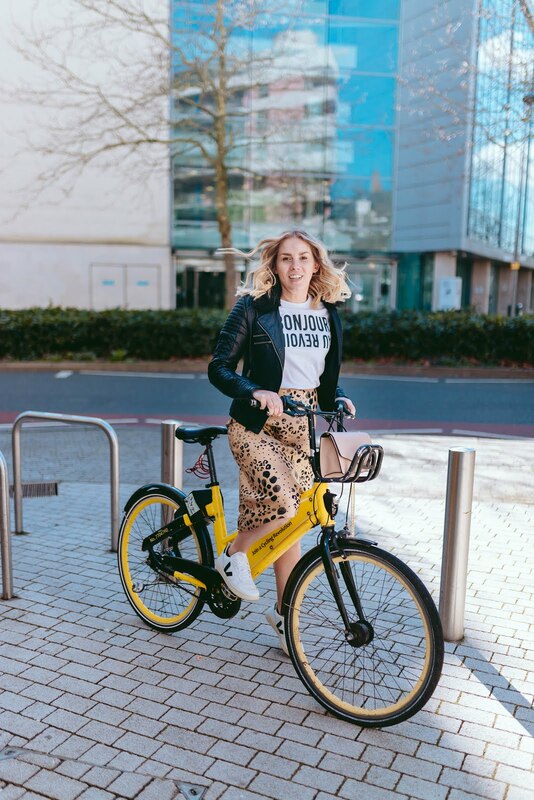 I am going to try and do 12 days of Blogmas where there will be a new post each day with a mix of beauty, lifestyle, fashion and festive treats as I have so many things I want to share after being away for so long. Today I am going to show you some of my favourite homemade christmas decorations which really get me in the spirit of the season. Every year we get a real tree for the house which we go and choose locally from a very small plot of land. They only open for one day each year and you choose the tree you want before it is cut down. This often results in some branches needing removing at the bottom of the tree to allow it to go in a stand. For ages I was trying to do something with these branches and about 3 years ago found that a christmas wreath worked best. 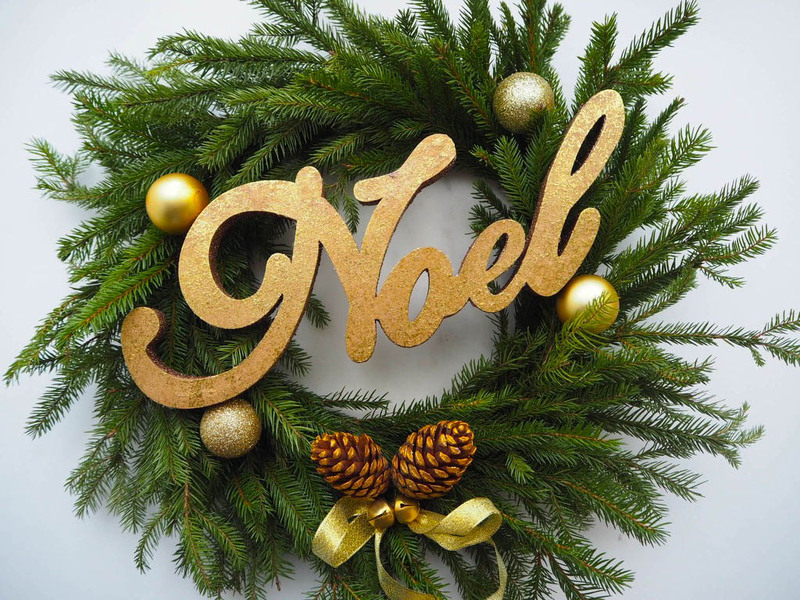 In my street nobody had a wreath on the door so it's not something I considered, now I'm making at least two a year as my grandmother is insistent she needs one too. Then whatever decorations you fancy. 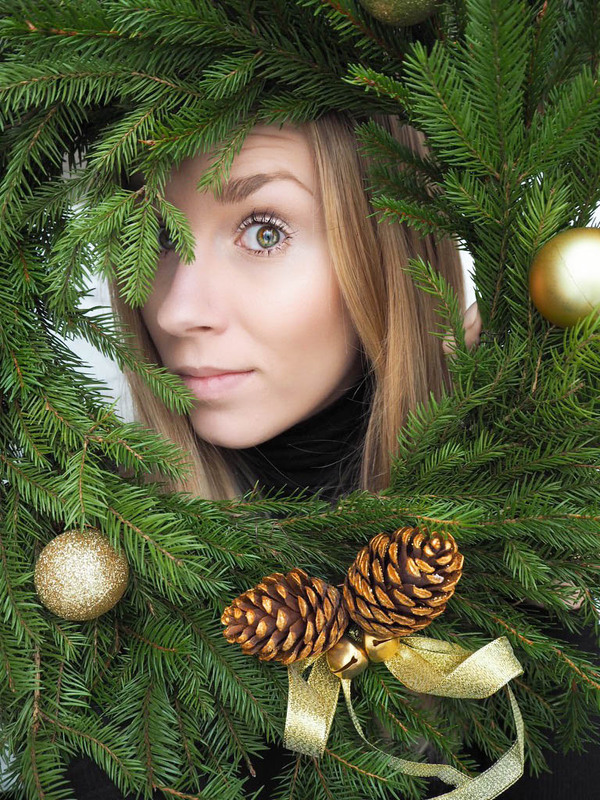 This year I kept it fairly simple with baubles, ribbon and pine cones but you can let your imagination run wild. 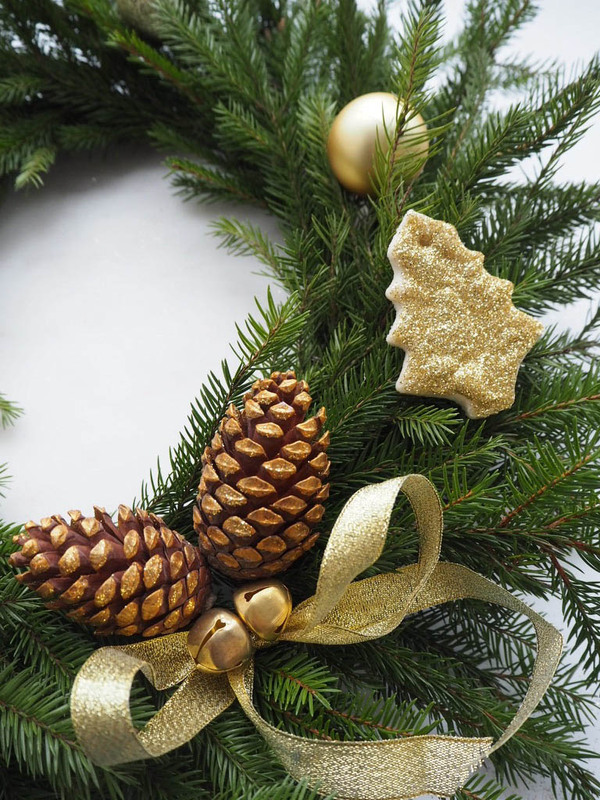 Below are some of my favourite Pinterest wreaths which I will be using for future inspiration. 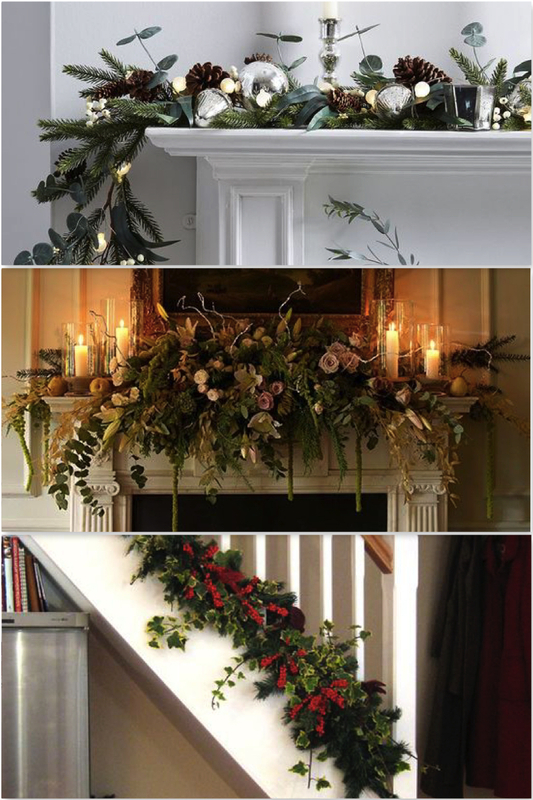 If you find you still have some spare tree you can also venture into other wreath based garlands such as fireplace decs or a staircase garland. Again inspirational examples from Pinterest below. Salt dough decorations are something I normally associate with being a child as we used to make them in primary school but this year after watching Kirstie's Handmade Christmas at Center Parcs last week I decided that actually they were pretty cool. So once I got home I gathered the gold paint, glitter and cookie cutters and got to work. You just need to add the salt and flour together in a mixing bowl and slowly add in and mix in the water until you have a dry dough. If the dough gets too sticky you may need to add a little more flour and if it's too dry and crumbling, you may need a tiny bit more water. 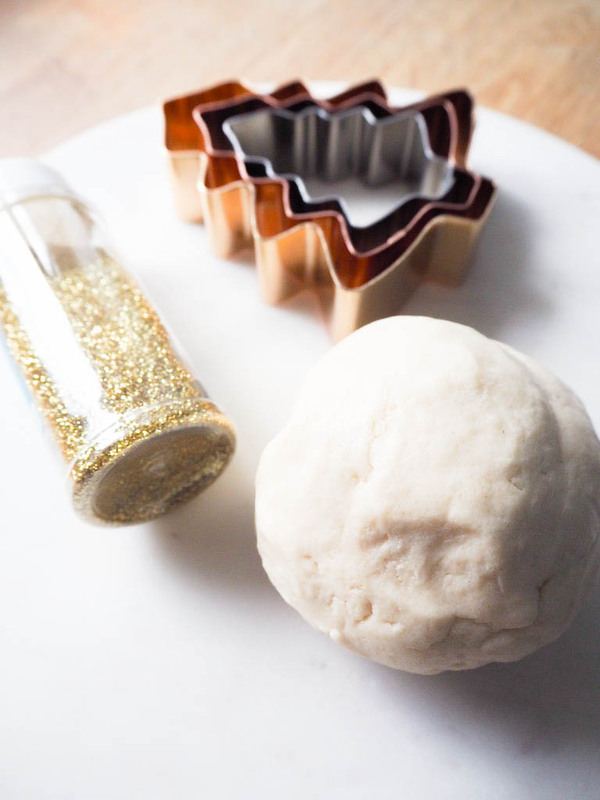 Once you have your dough you just need to roll, cut shapes - remember to include holes for hanging decorations - then zap them in the microwave for about 3 minutes. Depending on your microwave they may need a little less time or a little longer so keep an eye on the first batch. Once cooked you can paint and glitter to your hearts content. The beauty of salt dough is that you can create whatever you want by just using a little bit of imagination. 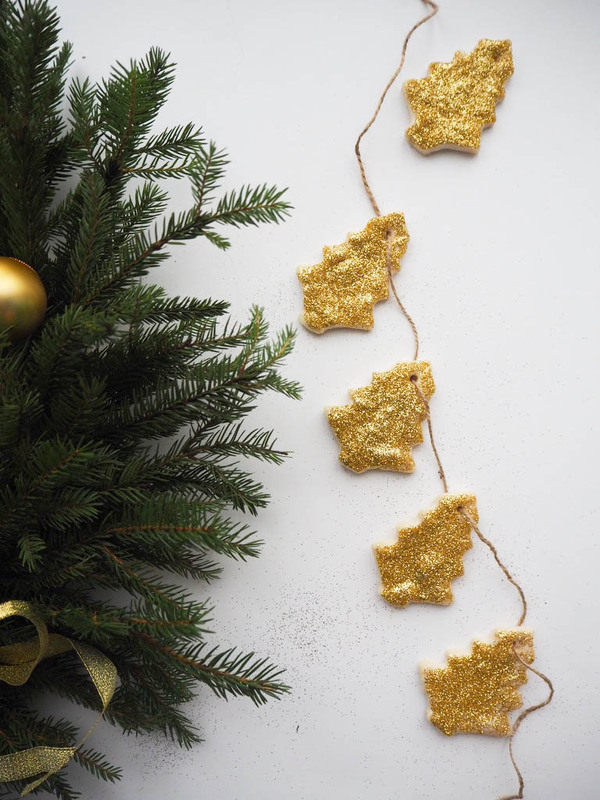 This year I went for gold trees with lots of glitter and some twine to hang. What are your favourite things to do to get in the festive spirit? 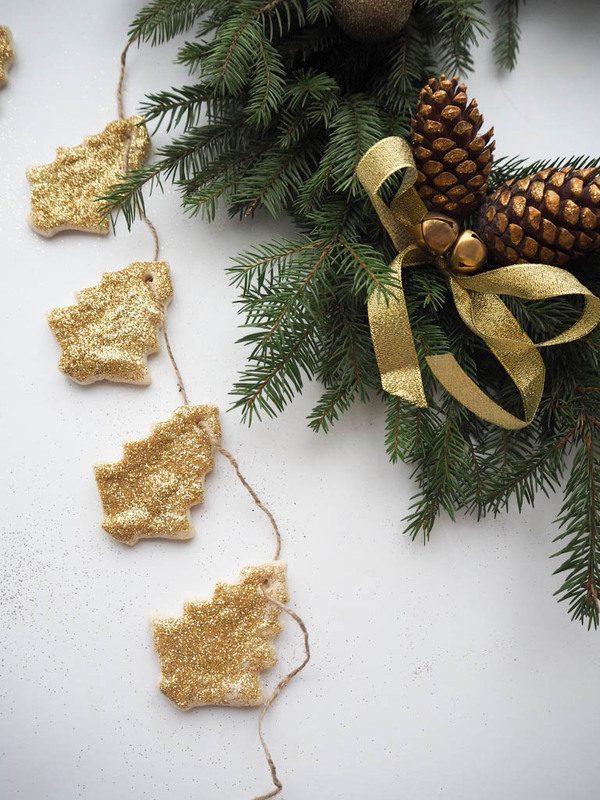 Do you make any homemade decorations? I was looking into the idea of creating my own wrapping paper this year but I ran out of time before I needed to wrap presents. WishWishWish has an amazing post which I saw yesterday on homemade wrapping paper and I've since gone out and order loads of calligraphy pens and sets ready to practice with birthdays next year in prep for a big christmas haul. If you are looking for some more seasonal inspiration head over to Bloglovin' or Instagram and follow me to keep up to date with Blogmas and check out my Lifestyle: Christmas board on Pinterest for some more christmas related inspiration and DIY ideas.